When you walk into any of our We Rock the Spectrum gym locations, you’ll see in large print on a wall the quote “Finally, a Place Where You Never Have to Say ‘I’m Sorry’.” For many autism parents and parents of children with special needs, there’s no need to explain further. They instantly feel a sense of relief knowing that there is someone else — some place else — that understands. Many parents who have children with autism struggle to find a safe space that understands how to handle the meltdowns, difficult transitions, elopement, and more that come with autism spectrum disorder. When our CEO and Founder, Dina Kimmel, created the first We Rock the Spectrum, she did so because she knew having a place that was safe for children with autism and special needs was necessary. What she didn’t know was how much these words would resonate with so many others alike. It’s not that the We Rock the Spectrum gyms are built for only people on the spectrum or with special needs; it’s that they’re built with their consideration. Neurotypical children enjoy the gym and equipment just as much as children on the spectrum, but at We Rock the Spectrum you’ll see something you won’t see elsewhere: ALL children playing together. The We Rock the Spectrum gyms were founded on inclusion and the idea that no parent should have to apologize for differences that are out of their control. 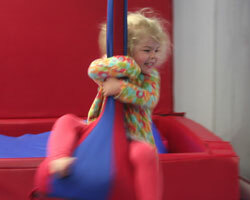 Our gyms are committed to providing a sensory-safe environment where children can have fun, learn, and grow together. We Rock the Spectrum offer a variety of camps, classes, and activities that are sure to interest all types of kids — and we make sure all types of kids can enjoy them. We require our Gym Owners to either have a child on the spectrum or to be a certified doctor or therapist, because we want them to be personally involved in our mission. We want them to relate. We want parents and family members who use our services to be able to relate with them. 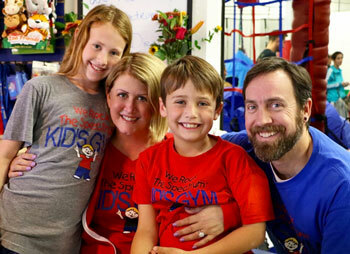 Dina Kimmel wanted to make sure that the opportunities provided at We Rock the Spectrum gyms were accessible to ALL kids so badly, that soon after founding We Rock the Spectrum Kid’s Gym, she founded the non-profit, My Brother Rocks the Spectrum, to help provide our services to families who can’t afford them. If you’re interested in learning more about how you can own your own We Rock the Spectrum, check out our Franchise Benefits page. This entry was posted in Dream With Dina, Why We Rock on February 1, 2014 by David TEST! Ephraim.